← Refuse to Practice Abortion? Lose Your Job! Therefore, we’re hosting a Symposium in Vienna on Friday 23 Sept of 2016 with different speakers to expose the situation. 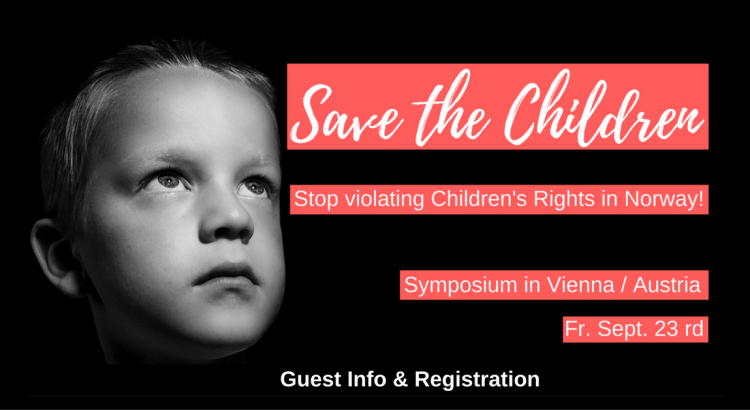 We’re inviting both Norwegian Experts as well as affected parents to come to Vienna to join the Event. It’s our goal to offer a public platform and support through media for those parents who lost their children for unjustified reasons. We also want to address the Norwegian Government to look into these cases and start a reform of the Norwegian Child Welfare System. The Symposium will be an afternoon and evening event in English with German translation. We also want to broadcast the event live via Internet so that many people around the world can watch the Video stream on their Computers, Tablets or Smartphones. In addition to that ERF Medien Österreich will broadcast live at Radio „ERF Plus“. The Video recording of this event will also be made available on YouTube afterwards. Psychos are everywhere, Octavian. Are there none in your country? If so, please tell us which it is and your country will perhaps be invaded..
For those of you who’s not familiar with the Bible, it is written in the Holy Scriptures: the sin will be great in the latter days..
Several people who are opposed to the way child “protection” is carried out in Norway, are planning to go to the Vienna symposium. Jan Simonsen has been invited to give a speech, but it is uncertain whether he can fit it into his schedule. I hope he can go; he is usually very well formulated and has long experience of talking sense and people tend to listen to what he says. Unfortunately I already have something else to do on this Friday. Hence I would like to contribute by a collection of important articles on internet — these ones are not on a single case but address some system-wide findings. These are all in Norwegian. (I only know about an English translation for the first). This article is from 2014, though. I just found it a couple of days ago myself; for some reason it turned up in a google search I did for articles from “the last 24 hours”. She contacted me a year or two ago, she is quite well-informed about Barnevernet’s actions in several cases. She has been attempted silenced about Barnevernet by various people, including those who allocate money for film projects (financing films in Norway is not easy, all Norwegian film-makers seek grants). I have also found the article as a fresh hit on Google. I would be far more interested on your comments on the Vista-Analyse report, however. Sorry, I do not usually read such reports, they are endless and lead nowhere. I have to ration my time. This report seems to be re the use of private companies to supply Barnevern services versus the state doing it. That has been discussed and fought over by conservatives and socialists for decades. It makes no difference to essentials: Barnevern Norwegian style is carried out to children’s and families’ detriment regardless of who is doing it. I think you might forget about numbers, percentages and figures for a bit, they are not always so important and do not lead automatically to particular conclusions. Deliberate policies leading to miscarriages of justice are the same whether they affect few or many. It is not important whether Norway takes many or few children from their parents, but the basis on which they do so and how they treat children in their power. The kind of figures that ARE important, concern e.g how Barnevern children’s later lives turn out, and there we have more than enough statistics: They are internationally the same: a disaster for a frightening number. How many children try to escape back to their families? Frighteningly many. What is done about them: They are captured by the police and carted back to their imprisonment. As far as I understand the report it claims (at least in the summary at front) that there are far more measures and far heavier measures carried out in municipalities that outsource child welfare to private parties. This is especially not surprising if those private parties are allowes to provide forensic expert opinions, they are interested in having as much children in foster care as possible as it provides the most of their income. I think private parties providing foster care should be banned from providing forensic expert opinions supporting Barnevernet’s decision for their obvious bias, based on regulations of European Convention for Human Rights, especially right for a fair process at an impartial and independent tribunal. Allowing such companies to provide expert opinions is violation of human rights in itself. Delight and I are two American Christians who are very concerned about human rights offenses in Europe and, in particular, in Norway. This wonderful event is only 10 days away. Much of the information is in this article that Delight shared. As we get closer to September 23rd, I will keep you updated on scheduling. For many years I investigated complicated family cases in Norway and became very concerned that the children´s right to family life (as well as the parents´ and grandparents´ ) is just as violated there as in Sweden. I know I should probably call you Doctor but I hope you are OK with Lena. If not, please let me know. I have been aware for some time that the problem that has been the focus of Delight’s blog for quite awhile is probably as bad in Sweden. My source is a very good source. First, thank you Doctor Lena for sharing your experience with us. As far as I know, it is another credible voice added to so many others. The evidence of wrong doing continues to build. Second, I’m beginning to wonder if any of this would ever have made worldwide news if it hadn’t been for a very bad decision in Naustdal, Norway last November. 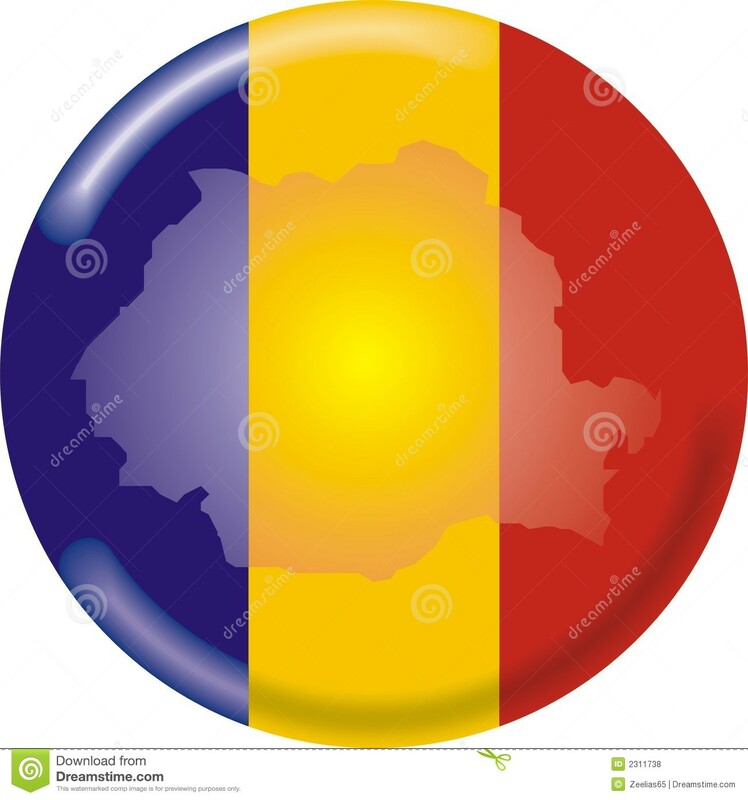 If what I call “the Romanian Giant” hadn’t been awakened, would those of us outside of Europe still be in the dark? Third, please correct me if I am wrong Dr. Lena, but it seems that many of these “errors” are being made because of faulty philosophies. Is that something you experienced or do you feel there is another main root to the problem? Fourth, the problem appears so big and those of us outside of Europe who are able to spend any time on it at all are few in number comparatively, I think. We do have our own problems, only the CPS here (U.S.) doesn’t have the ability to do what it does in the Nordic countries in general (The media here seems much less tolerant of government intrusion into families). So, some “outsiders” (at least this one) thinks it best to focus where the attention currently is. I know there are Europeans who would disagree with me. Anyone who has the strength and ability to fight on multiple fronts isn’t someone I would discourage. So much for sharing strategy with the other side. To me it is more about philosophy than strategy. If the philosophy behind bad decisions can be exposed, maybe the entire system can be re-worked. How that happens, in the end, is going to have to come from within each country. We have seen how little influence international bodies (though very valiant and educational they are) have had on Norway’s Barnevernet. I do not want my country to give up its sovereignty so I wouldn’t suggest that Norway does. It is a double-edged sword. Our world has changed greatly since WWII. Since then, our world has become much more connected in so many ways. It is also, in my opinion, much less Christian legally. I would suggest that this is the major reason for foundation problems of all kinds. I’ve thrown too much on the table. I’ll try to step away from this mess by stating my theory. The only way for real change is for enough people to get involved for good in some way. I honestly don’t know how this can happen without the majority of the people doing something to help change bad things. The majority of the people must become vocal about abuses of all types or things will continue to deteriorate no matter where one lives. It is a simple theory made by no genius. Either the majority of the people start to do the right things or we will enter into a tragedy that Christians call the Tribulation (Matthew 24). I will try to remember to pray for the Swedish as well as the Norwegian. Oops. Somewhere along the line I got away from you Dr. Lena and started a soliloquy of sorts. Sorry about that. I have made too many comments here and now I am commenting on one of my own comments. I wouldn’t blame Delight if he bounced me out’a here. I hope this is, indeed, the case. I wonder if the main reason why barnevernet can act in such an evil way, is the fact that they look at their clients as “untermensch”. I have seen statistics that are unacceptable. I have asked to see training manuals because I think they might give us a peek into the world of the Mother’s Homes. I have gotten no response. I would think an organization that helps would gladly let anyone see a training manual if its training methods were decent and professional. I am willing to buy one but I would need someone to translate it for me so that I can learn the training methods. If you wonder about the Barnevernet, Margaret, and you live in Norway, imagine how those of us who hear things from far away are wondering. There is clearly something wrong in your country. There are clearly things that are wrong in my country. However, anything involving the mistreatment of children is something I am always interested in. An American mother had her child taken by the Barnevernet simply because his weight wasn’t perfect. The child’s weight was well within the normal range and the mother was breastfeeding the child. I wonder about the American embassy in Norway. It gave no assistance to the American mother. How is that possible? Is the Barnevernet so powerful that the U.S. doesn’t want to ruffle feathers or is the U.S. embassy uninterested in helping Americans who have had their children stolen? It could be a combination of the two, sadly. The more I learn the more questions I have. I guess that’s a curious teacher for you. The American embassy is not the only embassy which does NOT help their citizens when they are attacked by Barnevernet. We have seen the same from several countries. Diplomats are there to work “smoothly” with the country in which they work, secure maximally good relations for their own country on an official level. I would think helping return stolen children to their loving mothers would be more important than replacing lost passports. The American government doesn’t get a pass on this in my view and neither should any other government. Thank you again, Marianne. Maybe governments who have embassies in countries that have CPS systems that act like the Barnevernet need some type of wake up call. People in my country like to use the word “freedom” a lot. I notice you put the word “smoothly” in quotes. Does the American embassy in Norway sacrifice the human rights (freedom) of its citizens to maintain the status quo? I know we both certainly hope not. It surprises me that India and Nigeria are better than the USA on this. smoothly” : Well, diplomats at embassies are there to “diplome”, aren’t they? To assure friendly relations with the authorities in the country they are in and with the diplomats of other countries. One quite unusual diplomat was the then Polish ambassador’s wife who studied linguistics when I did. She said that such activity on her part was, if not frowned upon at least thought a bit undiplomatic. They all went to all the diplomatic community’s national celebrations / birthday parties etc. Both as regards Nigeria and India I think ethical alertness and determined effort of a few individuals, best of all politically well placed individuals, is very important in deciding the attitude taken by a country. You should have seen, in a tv program, a really excellent, well-spoken and upright lady MP, from the Nigerian parliament, whom Nigeria sent to Scandinavia (their embassy for Scandinavia is in Sweden) to express their outrage about child protection here. “There are fourteen pages of questions in this vein.” I had no idea, Marianne. I had noticed the mention of a case in New Jersey in another post of yours, or maybe it was in a comment and I was curious. I should have asked about it. I wonder if this is standard procedure in every state in the U.S? It really is something I should try and find out. It is my opinion that annual income, level of education, and owning such amenities as air-conditioning have nothing to do with good parenting. Just because people in the West expect to have air-conditioning in their homes and schools doesn’t mean everyone in the world can. Many Americans who can’t afford air-conditioning are given free electric fans in the summer time by certain non-profits and even the government at times. In fact, I was in an modern American gym with no air-conditioning on Friday. I was there with the entire school for a pep rally for a football game. It was loud and hot inside the gym and a few of the fourth grade students entrusted to me were complaining even though I had given them the opportunity to use the bathroom and get drinks before we went to the rally. Most were “troopers” and made it through the longer than anticipated event. There were large fans in the gym but it was hot outside so the fans were at most moving hot air around. I had to make a comment about “whining” when we got back to the classroom where I let them go a few at a time to get drinks. Every student in the school was hot for heaven’s sake including me, and there were long lines at the drinking fountains. Should the school get in trouble for “abuse” because it doesn’t have air-conditioning in its gym? I wonder what will happen to Americans if the electricity goes off for an extended period of time? I see how “ethical alertness and determined effort of a few individuals, best of all politically well placed individuals” can make a huge difference. There was a ridiculous case in my county last year and the combination of local media sources, Church leaders, and a few politicians insured that the correct course was taken. In that case, the children were away from their parents for a short time comparatively. I think this is true and very unfortunate, Marianne. Counting air-conditioning as an “amenity” is particularly ironic in my view, actually, since that is one of the things we were battling against in a little anti-noise organisation I worked with for a while. I consider it torture. The low noise of it prevents proper rest and may affect the blood pressure, and it prevents natural air circulation. It definitely is a trigger of my migraine. Air-conditioning is one of the reasons why I do not stay at up-to-date hotels and avoid many restaurants, and I wouldn’t dream of living in a private home pestered by it. My last years at university I revolted against some of the lecture rooms, and thank heavens I managed to get an office in an old building which had not yet been “improved” and it had a lovely, quiet lecture room where I could teach my students also. It seems strange that during a period where our National Debt has soared so has the use of AC. I will say that Arkansas can be very hot and humid. I don’t have AC in either of the two cars I drive and I’m not dead yet. I do have it in my home and it is a nice break from the humidity. I used to work in the Air Conditioning industry in California by the way. It paid better than teaching in private schools. I almost forgot to mention this, Marianne. The quote from you to Jasper above was very interesting and somehow I had never read the information at the link you included. It is very educational. Thank you. “I think you might forget about numbers, percentages and figures for a bit, they are not always so important and do not lead automatically to particular conclusions. Deliberate policies leading to miscarriages of justice are the same whether they affect few or many. It is not important whether Norway takes many or few children from their parents, but the basis on which they do so and how they treat children in their power. The kind of figures that ARE important, concern e.g how Barnevern children’s later lives turn out, and there we have more than enough statistics: They are internationally the same: a disaster for a frightening number. Chris, I would like to respond. I am pretty interested in the numbers as well but it is not l’art pour l’art. I agree with Marianne even one abuse of authority is hurting the same level. However, the numbers might be a strong indicator for something wrong on system-level. And actually as far as I understand, the actual numbers are indicating far more emergency orders and placements outside of home than other democracies. It was also shocking to see the geographical differences. It suggests that there is something pretty wrong with the functioning of fylkesnemnda itself in certain counties. I don’t say it is the only problem but seems to be a good starting point, to analyze further. Yes, people are different, and most people can fairly flexibly adapt to many different environmental circumstances. But such adaptation often comes at a cost, and as regards noise it certainly does: Noise is a stressor and long term noise is detrimental to health, more for some of us than for others, of course. As regards heat and humidity: Once upon a time I worked my way from New Zealand to Norway as a stewardess, on a freighter which also took 12 passengers. Going through the Panama canal was very warm, not to say hot. It was also very humid. No air-conditioning, thank heavens. Making beds and cleaning the cabins and shower-rooms etc was on the hot side. The humidity saved me. One just had to not mind sweating, and to drink a lot. And it wasn’t unpleasant. A couple of dips every day in the little pool they had rigged on deck, in addition to showering, was also nice. The canal was among the most interesting parts of the voyage. Apparently I am different from most people, in that dry heat is what affects me negatively. The worst I can remember was in mainland Greece and on Crete in July/August, above 45 degrees Celsius. There is everything wrong with Fylkesnevndene (the County committees/boards) everywhere. You are on the wrong track when you believe that e.g. Oslo is all right. There are, and have all the time been, plenty of ghastly CPS cases in Oslo. Some of the areas that functionally are suburbs of Oslo, however, belong to other municipalities. The great number of emergency removals is certainly known. Again, as with other aspects of CPS in Norway, it is not an unfortunate detail, and the reasons why Barnevernet do so many of them and it has increased are part and parcel of the system. Barnevernet has clear motives for doing it this way, and changes of legislation and implementation have made it increasingly easy for them. There are great differences between different social workers, both among Barnevern leaders and among their subordinates. But this is not constant. The turn-over of personnel is great, and it often happens that one district which may have seemed relatively sane for a while, gets a couple of new employees who are more active. The same social worker can act pleasantly and sensibly towards one family and in the opposite way towards another, say if the social worker does not like the way the second mother is resentful of, or contradicts, the social worker’s criticism. So it is rather arbitrary. That is one of the difficult things to make victims and possible victims understand: Rational discussion with Barnevernet, sensible reasoning about your child being all right at home, etc, cannot guard against Barnevernet taking action. The very arbitrariness of it is among the greatest dangers. The education and training of CPS workers is a very active trigger of unwarranted action, and very many parts of the legislation and the way the system is implemented back it up. Essentially, numbers are available and well enough understood. The government publishes such information all the time. It makes no difference to practice and there are no important additional insights to be gained by investigating numbers any further. There might have been, but there aren’t. We are not at a starting point of analysing and understanding the system, and we do not need to analyse numbers any further to gain insight. I am sorry, but I am not going to respond any further to this question. I consider it a side-track, which takes time and attention away from where I think it more useful for me to go. Marianne, I know that you do not need this kind of analysis. However, international pressure can really built up further in a way that such analysis is repeated with the chance of a dialogue for the Norwegian Government. Without repeating the analysis Norwegian Goverment could still keep silence in Norway and tell in the meanwhile that foreigners are jumping into conclustion too quick and there are some extreme cases but nothing wrong on system level. You may be different from some, Marianne. When I was moving to Arkansas from California, I ran into more than one elderly/retired person who was heading to Arizona from the more humid states to the east. One was moving because her doctor told her the dry heat of Arizona would be good for her health. One of the worst days in my life was spent in the Mojave desert in California. I didn’t know Greece and Crete got that miserable but it was probably 45 C in the shade on that awful day I was in the desert. As far as noise, we had a 30+ year old split system that had an outdoor unit that sounded like an airplane when it “took off.” Because it was so inefficient, we also had a “window shaker” in the kitchen. A few years back, we were able to replace it with something much more efficient. All one hears is a quiet indoor fan and the unit doing most of the work outside is also very quiet. The “window shaker” is gone. My son and I would make it without the AC, I’m pretty sure my wife would make it, I’m not so sure my daughter would make it. She has a disability that makes her highly sensitive to heat. You will find me wearing a sweatshirt inside most of the summertime. Looking at it strictly by the numbers, you are definitely different than most Americans, Marianne. år etter år skriver FYLKESNEVDA. Eg skjønar det er i tråd med vår historieutvikling,men det kan og se ut som om du fortsatt vil ha dei goda,gamle tidane tilbake att? Eg meinte NEVNDA,sidan du som lærar sikkert vil korrigere meg. even as a foreigner just using Google-translate I guess I understand the wordplay by professor Skanland on changing nemnda to nevndene. Google translates nemnda to tribunal and nevndene to committee. Hello, I agree that it is best to focus where the attention currently is. As I have concluded there is the same system error in Norway as in Sweden. The same CPS employees, have the task to help families AND the power to take the children from the parents. I have written about this for many years (some articles can be found in English on my website http://www.avskildabarn.se /separated children). I´d like to come to the meeting in Vienna but do not know if it is a closed meeting – can someone help me? Please note that the Symposium can host only 100 people. Therefore make your reservation as early as possible, best before Sept. 18th. I very much hope the well-known Czech Barnevern case of Eva Michaláková will be taken up in Vienna. It is an outrageous case. I hope that Strasbourg will say that the whole procedure was on the contrary of Human Rights. So that a Norwegian re-trial could be bound (as ECHR verdicts are binding for national courts in re-trial) to declare the whole procedure — including order for foster care — null and void and to order that the procedure to be repeated from scratch. Marianne, I thought it was excellent too. I was glad Nadia and Caspian were there. I also recommended to the organizers to do something more “public” in the future where we can can rally the churches to attend. During the Bodnariu protest there were more than 3000 who showed up in Vienna. These events will have more impact when we take to the streets. The organisers have done a great job. Here are a couple of interviews, from 14 and 15 September, introducing the sumposium. They are in German; the second one is texted in English. Every one nows: barnevarne ie a very good business in the 21st century. I am sad because of the suffering of children and their parents. In this country there are no families there is only fear. No matter what you do, as you are bringing up children. they always have the right teeth right was on their side. From them is no help is only fear. So far I see Norway is only interesting in strengthening children’s rights when it is strengthening Barnevernet. No interest in safeguarding children from abuse by Barnevernet at all. The reasoning in this article really goes in a different direction. The article touches briefly on Norway not wanting children to be able to complain to the UN. But the rest only deals with single refugee children who “disappear” from Norway, while the writer thinks that Norway should find them and hold them. she has been active on information stands the Barnevern-protesters have had in Arendal on the south coast (in a special “Arendal week”), and she both writes and holds meetings for Barnevern victim. You deserve thanks for your energy on behalf of the Barnevern victims, Jasper. DT is Drammens Tidende (the Drammen Times), based in Drammen, which is a city due west of Oslo. This lawyer Marie Sølverud, who has written one of the articles you link to, is good. The other one, Rune Selbo, I have not heard of before. He takes Barnevernet to task very well, I am just a bit hesitant every time a lawyer says – as he does – that he has had many Barnevern cases but NEVER experienced anything like in this case ….. Really? Interesting update on review of 100 cases — in Norwegian. I would be interested in comments from Norwegian readers. These are frightening as they suggest that Norwegian Child Welfare is out of democratic and juridical control, even Norwegian Constiution does not apply to them, they are a state in the state, just like the secret police in the Eastern block in the 1950ies to 1980ies. Another one in Norwegian, about forcing families into so called family centers. Sounds like Article 6 of ECHR about an independent and impartial tribunal is conpletely forgotten. Useful postings for me, Jasper. I am very much “behind” on my postings on the RVB forum, but will try to catch up. You are serving useful articles on a silver platter for me.